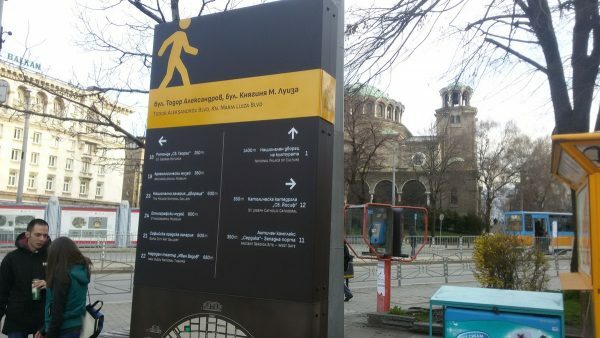 Bulgarian capital city Sofia has put up 42 new information signboards at key locations to help tourists. The signboards show the way to major cultural and historical sites in the city, as well as rest and recreation spots in a radius of up to 500m from each signboard. The signs are in Bulgarian and in English, and the colour scheme was chosen to be easier for people with visual difficulties, and to resemble the customary usage for signs indicating cultural and historical places.